Oldland Mill was built in 1703 and saw service for over two hundred years grinding wheat and grain for local communities. It was a focus for local celebrations during Queen Victoria’s Golden Jubilee in 1887. It was eventually abandoned in 1912 and by the 1980s it was in a sorry state. 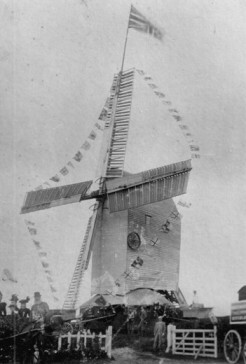 Only one pair of sweeps (the Sussex term for sails) remained, much of the cladding had either fallen off or was rotten, and the brick roundhouse was falling down. Restoration began in 1980 but the first 15 years were spent stripping the the mill to its bare bones. The main post and windshaft which hold the sweeps were left in place and the rest of the structure built around them, taking care to use as many of the original timbers as necessary. Construction of the new sweeps began in 2005. As with the rest of the Mill, these were built entirely by hand by skilled volunteers under the guidance of an experienced millwright. All four sweeps, each weighing about half a ton, were finished in 2007. 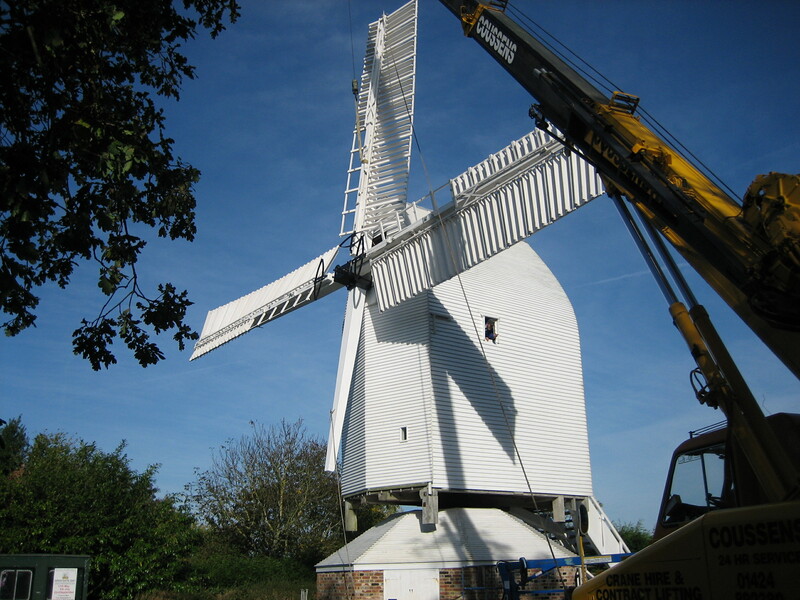 In 2011 we were pleased to receive the prestigious Sussex Heritage Trust award in recognition of the effort and high standard of the work undertaken in restoring the mill. For a more detailed history please go to page 2 below.